Translation of an interview with Natalia Chernich (NC), a correspondent of the Russian Language publication Moskovsky Komsomolets printed on September 3, 2007. 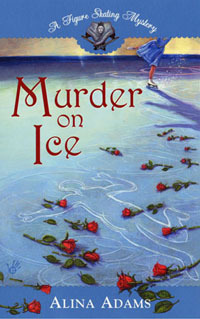 NC – In a new production of the Show on Ice you are skating with a new partner – Victoria Daineko. How is she doing? AY – As all nonprofessionals initially she looked quite clumsy. But she is practicing and lately she is doing quite well. I like it that in our pair there is a mutual understanding. It was missing in my last year pair with Oxana Pushkina. Now we are working together with Victoria and I always see a smile on her face. She is a very cheerful person. NC - Do you socialize off ice? AY – Yes, I went to one small concert of Victoria in Moscow. It was interesting. NC – Are you a kind coach? What do you do more – praise or scold Victoria? AY – I am a stubborn person and when something is not coming out right I am getting angry. But then I remember that she is not a figure skater and I calm myself. We work hard and sometimes we are practicing till 3 am. Victoria is very flexible and is a good dancer. This is her advantage. NC – I read a few nasty comments about your duet on the Internet as if they were coming from Plushchenko. AY – I do not care about Pluschenco. I have my life and my project where I feel good and calm without him. NC – You look quite good for a man who underwent a serious operation recently. How did you decide to come out on ice with a piece of metal in your hip? AY – Until the last minute I was not sure if I would be able to participate in the TV project. But since I was not supposed to do any complex jumps and turns, I agreed. Going through the hell of operations I realized that the most important thing in life is health. Last five years of my life I lived with constant pain. I forgot about playing soccer with my friends. After walking for 10 minutes, I could not walk any more. I was staying home or was using a car all day long, as to save strengths and be able to complete in the show. After show, bent with pain, I was climbing on the bus and was taking painkiller pills as to somewhat relieve the pain. I never talked about it before, but now, when I feel better, I can talk about it. Yes, I have a piece of metal in my hip, but I can move and already started practicing. 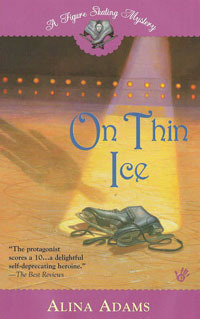 NC – Will the book that you are writing talk about the difficulties in the life of a figure skater? AY – There will be a lot of stuff in my book. I just recently finished dictating the book. It is scheduled to be released at the beginning of October. I have three versions of a title, but as you know, the main thing in the book is the cover. NC – You are quite a private person. How open were you in your book? AY – I wrote the book as to explain my relations with other people. It is not always possible to do it face to face. It was difficult to write such a book as I did not want to offend anyone, but at the same time I wanted to tell the truth. NC – Do you use the phrase: “I was crying” in the book? AY – Yes, I even use the word “sob”. I am not afraid to be seen as a weak person. There is a lot about my childhood in my book. That came from my mother. When I was 4 years old I was late for an audition on ice because that morning I found scissors and decided to give myself a haircut. It looked terrible and while my mother was trying to fix my hair, the audition ended and all the children went home. 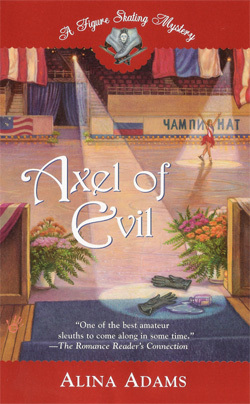 But lucky for me, my first coach, Alexandr Mayorov, had not left yet. He asked me what I was doing there and after my mother’s explanation, he enrolled me in his group without a test. All of my school years I was coming to practice in the morning and then went to school. NC – Would you like to start a family eventually? AY – I understand that I like my freedom and do not want to loose it. I was trying for a long time to create something similar to a family, but it did not work out. I can not change myself. Probably I am too young to start a family. As of now I would like to stay free and take care of myself.